Looking back at an anime season often stirs up conflicting feelings in the viewer: the much-anticipated series that promised so much but somehow failed to deliver; the continuing title that developed in unexpected ways; the unheralded show that quietly turned out to be one of the best that year… And being spoiled for choice (I’m not complaining!) not everyone manages to watch all the trending titles as they air. So while our writers at Anime UK News are here to share their thoughts on the Autumn Season 2018, please, gentle readers, forgive us if we don’t cover absolutely every series that aired – and do share your thoughts on the titles we might have omitted that deserve a watch! 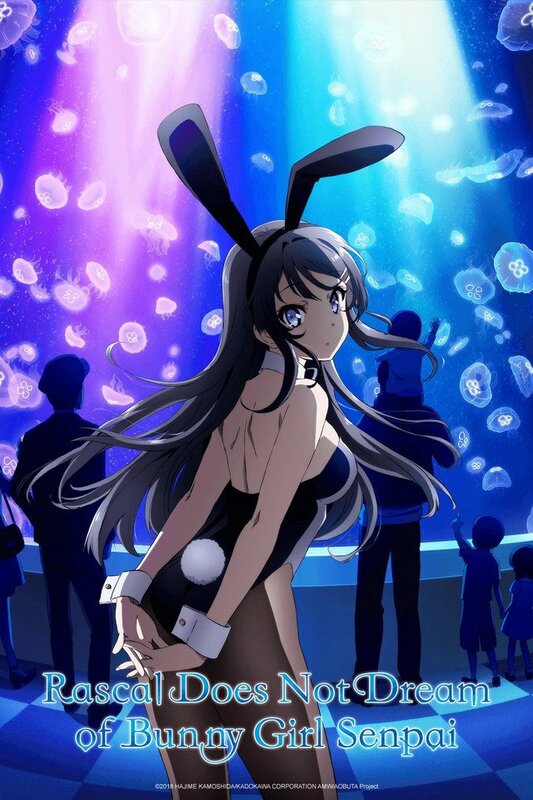 Back when we wrote our Autumn Preview Guide, I was an early advocate for a series many turned up their noses at due to its unusual title: Rascal Does Not Dream of Bunny Girl Senpai. Despite my enthusiasm back then however, I was concerned about whether the series could maintain its early momentum after the end of its first arc, and the resolution of the titular Bunny Girl Senpai’s mystery. Fortunately, word of mouth from early viewers and the series’ consistent stream of engrossing character drama earned the series considerable acclaim – and multiple nominations in our Readers’ Choice Awards, including Best TV Anime! Even after the focus moved away from Mai Sakurajima, I was delighted to see her not only remain a prominent member of the cast throughout, but also be one half of perhaps the most natural couple I’ve seen in recent anime. Rather than spending a whole episode blushing about the thought of holding hands, it’s refreshing to see not much of a filter between Mai and Sakuta as they regularly tease one another even about Sakuta’s “earthly desires”, in a way that’s more endearing and genuine than the usual over-the-top tsundere relationships such as Nisekoi‘s Raku and Chitoge. The series’ appeal doesn’t hinge on Mai Sakurajima however, with subsequent clusters of episodes presenting their own captivating tale of a young girl’s manifestation of Adolescence Syndrone. 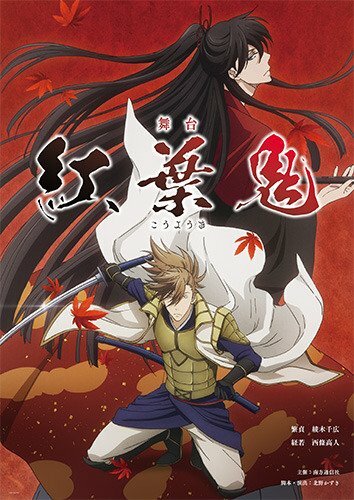 The following story arc for example, focuses not on the symbol of femininity Mai, but the country tomboy Tomoe Koga. In what is perhaps best described as “Haruhi‘s Endless Eight done right”, Koga and Sakuta find themselves trapped in a repeating day, until they can overcome Koga’s self-consciousness and fear of social exclusion after she receives a confession of love. 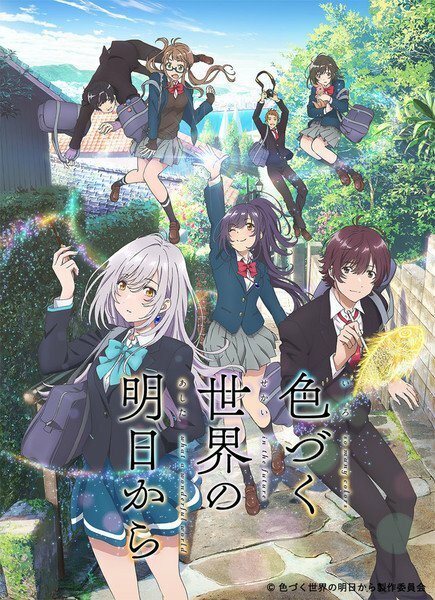 Rascal Does Not Dream of Bunny Girl Senpai doesn’t only succeed where Kyoto Animation’s cult sequel faltered by drastically cutting the episode count (Koga’s entire story arc takes place over three episodes), but also in its depiction of the loop. Whereas The Melancholy of Haruhi Suzumiya went for a more literal approach by making viewers experience their own “loops” (with slight differences), this series repeats as few scenes as possible to effectively make the point clear, then kept me engaged by breaking them up with Sakuta’s investigation into the matter. Basically, Rascal Does Not Dream of Bunny Girl Senpai did in one episode, what The Melancholy of Haruhi Suzumiya couldn’t in eight. The story that caught my attention in a big way however, was the fifth and final of the series, revolving around Sakuta’s child-like sister Kaede and her social anxiety. Being the victim of a nasty bullying campaign in middle school sparked a violent manifestation of Adolescence Syndrome that caused cuts and bruises across her body, causing her to grow fearful of school, and leaving the house altogether. Unlike the stories before it, Kaede’s chapter isn’t about resolving a present problem with Adolescence Syndrome, but picking up the pieces of a past one. As someone who previously received counselling for social anxiety and still struggles today, I know how hit-and-miss media depictions can be, but I was pleasantly surprised by how supportive the cast around her was. I’ve personally experienced people with the best intentions throwing me “into the deep end” to try and cure my issues, yet Sakuta always allowed Kaede to take the lead and and respected her limits, leading to an appropriately tearful and dramatic episode finale about something that we don’t even think about, but was a major step for Kaede. Even Mai Sakurajima, who had gradually earned Kaede’s trust over the series, earned her stripes as anime’s best girlfriend with her support and encouragement of her spouse’s sibling. This story arc clearly resonated with a lot of you as well, with one episode and every notable character from it being nominated for Readers’ Choice Awards! Despite my praise for Rascal Does Not Dream of Bunny Girl Senpai however, one weakness that was a near-constant throughout the series’ run, was its endings. While the resolutions are satisfying from a narrative standpoint, with the exception of Tomoe Koga’s, I found each chapter’s endings to be lacking in dramatic “pizazz”. I’ve even previously noted that Mai Sakurajima’s arc would have made a fine film, if only it had more energy in the finale. The one time I was left disappointed from a narrative perspective however, was in the one I have just gushed about – Kaede’s. I was filled with nervous anticipation after the shocking cliffhanger of the previous episode, only to be disappointed by Kaede’s final act being rushed through and even partially side-lined, in favour of building up to this year’s film sequel Rascal Does Not Dream of a Dreaming Girl. Despite that however, Rascal Does Not Dream of Bunny Girl Senpai remains my Anime of the Season. So. A simplistic, moralistic reading of the original story could well be: ‘Ash was trained to kill. He killed many people to survive. Those who live by the sword, die by the sword. In the end, he deserved a killer’s punishment.’ But the outcome for homosexual relationships as depicted in the early Boys Love manga was almost always tragic. 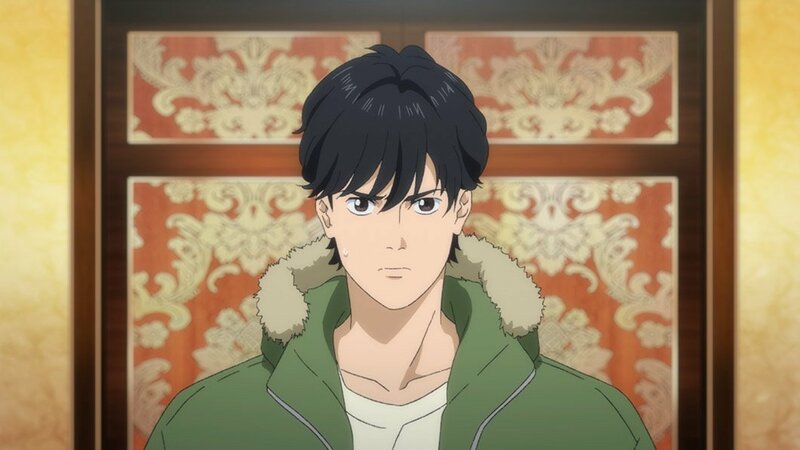 Debates have raged on since the manga’s first appearance in the 1980s as to whether the relationship between Ash Lynx and Eiji Okumura as depicted by the mangaka, makes this a BL work at heart, rather than a shojo title (it was first published in shojo magazine Betsucomi). The mangaka herself stated at the time that it was a deep friendship, nothing more. (Of course it was! It was the 1980s!) But some of her art in the illustration book Angel Eyes suggests otherwise. 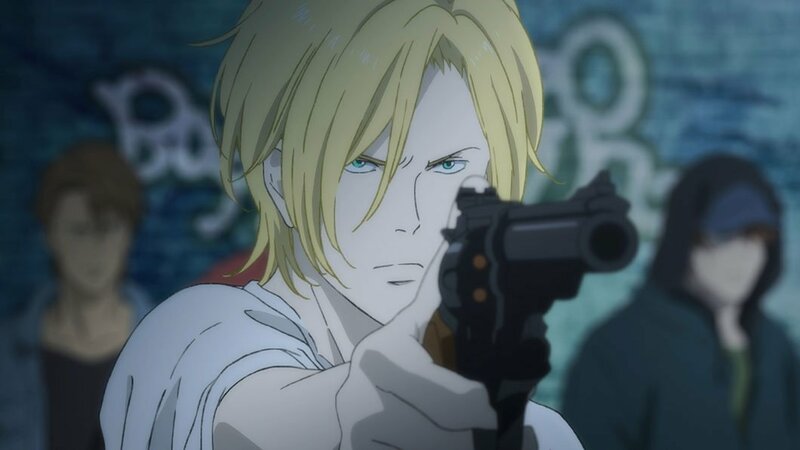 Putting all that aside, MAPPA’s stylish, good-looking anime managed to present a high-stakes action thriller (guns, drugs, NY gangs, the Corsican mafia, corruption at government level) combined with achingly cool allusions to hard-bitten American fiction by authors including F. Scott Fitzgerald, Hemingway and, natch, J.D. Salinger. All this, delivered to the accompaniment of a great jazz-driven score by relative newcomer Shinichi Osawa, combined with character designs that bring the original manga to vivid life, enhancing and improving on the originals, some eye-popping animation (check out Ash’s epic fight with Arthur in Episode 13) and committed performances from an excellent cast, including Kenji Nojima as Eiji, Yuuma Uchida as Ash Lynx and Jun Fukuyama as Lee Yut Lung. The script alternates the violence and horror with moments of domestic calm and delightful, playful humour which (as Shakespeare knew so well) only make the ensuing carnage all the more harrowing. IRODUKU: The World in Colors P.A. Works on Amazon Prime may well have passed some viewers by. But it’s well worth your time. A gentle but engaging variation on the theme of time-travel and friendship, its central character is 17-year-old Hitomi. Although born into a family of mages (magic is widely practised in a benevolent way in this not-so-distant future Japan) Hitomi only sees the world in black-and-white and has become quite withdrawn. Her grandmother Kohaku sends her back sixty years to her own past where Hitomi spends time with the 17-year-old Kohaku and makes friends, especially with a young artist Yuito in Kohaku’s year at high school. Through Yuito’s art Hitomi can see colours again – even if only momentarily — and slowly she begins to come out of her shell and enjoy life. But there’s a time-limit on the magic that sent her back to the past and Kohaku is charged with the challenging task of returning her granddaughter to the future. This is a charming and healing tale about what friendship means, embellished with some beautiful imagery and animation. For Hitomi, the dream will have to come to an end (and the series glides effortlessly over some of the potential issues that time travel throws up, as if to say, ‘We just won’t go there…’) Some reviewers have invoked the name of Studio Ghibli for its jewel-bright magical imagery but plot-wise it’s understated and decidedly un-quirky when compared with Miyazaki and co’s films (except, maybe, the train travelling between the different times)– and it’s none the worse for that! In terms of characters, the slow-burning friendship (or could it be more?) between Hitomi and Yuito provides the main focus but I particularly loved the exchanges between Hitomi and her grandmother Kohaku, whether as a couple of seventeen-year-olds having fun together or as grandmother and granddaughter. This proved to be the heart of the series for me, culminating in a genuinely moving final episode. (And my thanks to ANN reviewer Rebecca Silverman for pointing out the telling allusions to Alison Uttley’s classic time-travel story A Traveller in Time). 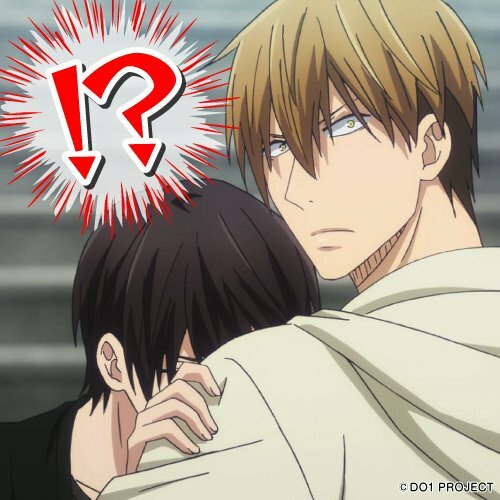 DAKAICHI seems to have put off some viewers because it’s adhered to the manga’s sequence of events, starting with Junta taking advantage of a very drunk Takato. So yes, trigger warnings for those that would rather not engage with this kind of scenario. What the manga (and the anime) doesn’t reveal till much later on is that this is not their first encounter and there is history between them, even if not a physical relationship. For me the only minus is the decision by the character design department to keep the cross-hatching under the characters’ chins from the manga, which might work on the page but just looks weird when animated. But if you enjoy anime about acting and the stresses and strains of being a performer today, then you should give this a try. The episodes which show Takato rehearsing for, then appearing in ‘The Red Leaf Ogre’ a stage play alongside Chihiro Ayagi, a rookie actor who has none of the natural talent of Azumaya Junta, makes for alternately excruciating and fascinating viewing. Banana Fish and IRODUKU are streaming on Amazon Prime. When I wrote my piece for the autumn preview I was optimistic about the selection of anime on offer. With plenty of returning champions and a variety of new shows I’d quickly fallen in love with, I foresaw me having a lot to talk about when we got to the point of writing this overview article. The nice thing about the autumn season is that none of the shows I talked about in the preview article fell out of favour with me – notably As Miss Beelzebub Likes, which continued offering a weekly dose of cute comedy. However, instead of gushing about that all over again I thought I’d put the focus on a few other titles instead. 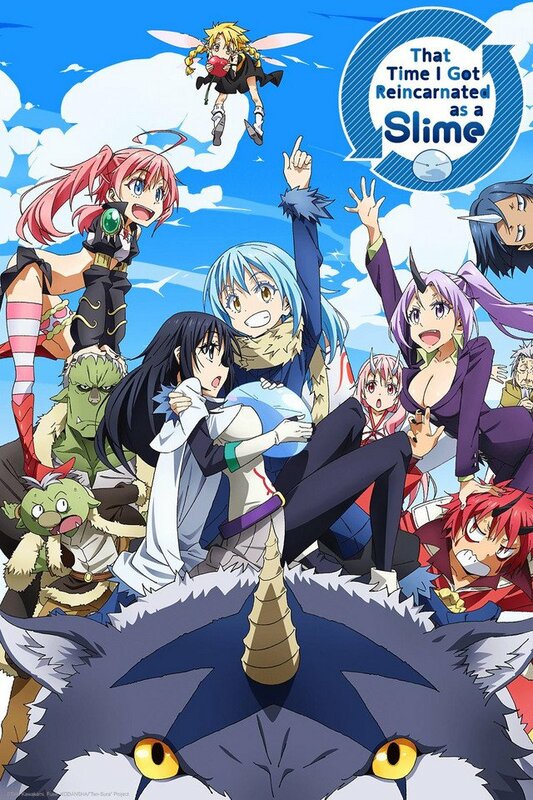 First up we have That Time I Got Reincarnated as a Slime. The synopsis for the show screams generic isekai adventure, I mean surely being reincarnated into a slime can’t be that exciting – right? Wrong. I like the isekai genre a lot, but even I can be found readily admitting that they’re all broadly the same. That is until Reincarnated as a Slime came along. Despite everything, this show is cute, it’s fluffy and it’s downright heartwarming. Not the kind of thing you’d expect me to be saying about this genre. Not long after protagonist Satoru Mikami begins his new life as a slime, he stumbles upon a goblin village. There he makes a new home for himself, protecting his newfound friends from all manner of danger that presents itself and slowly building a better life for everyone with his knowledge of Japan. The series has its fair share of battles and action scenes, delightfully animated by studio 8-Bit, but it always manages to balance the life or death events with a healthy dose of heartwarming story. 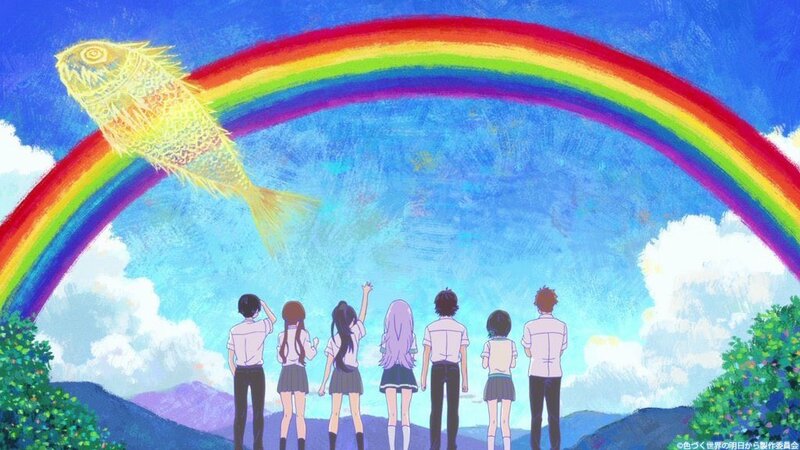 For all the bad things that might happen during Satoru’s (or Rimuru’s as he’s known by in slime form) adventures, there is always something uplifting around the corner to keep the show from falling into a gloomy slump. Genuinely, this is the best isekai series to pop up in the last year or two and well worth every fantasy fan checking out. With another cour to see it through the winter season, we won’t be saying goodbye to our quirky cast anytime soon and that’s perfectly fine with me. Provided nothing goes horribly wrong in the second cour, this could easily be one of my anime of the year! 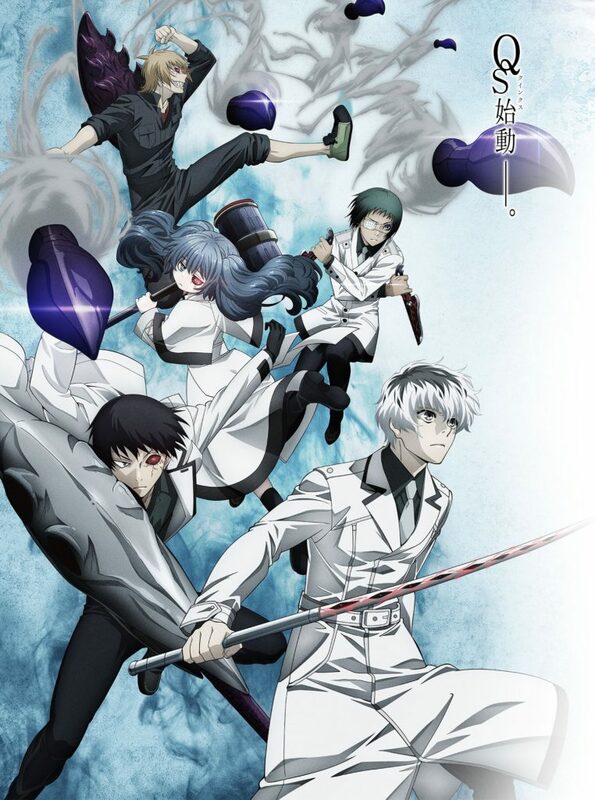 My second pick from the autumn season is, surprisingly, Tokyo Ghoul:re. If you’re familiar with my work here at Anime UK News, then you’ve no doubt seen me comment on the love-hate relationship I have with this franchise. Nevertheless I wanted to see the story through to its conclusion, even if I wasn’t wholly convinced it was going to be a ‘good’ conclusion. What the second half of Tokyo Ghoul:re’s adaption gave us was a whirlwind of emotion. Adapting 16 volumes of manga and condensing them down into 24 episodes was never going to work without removing a few things and I was prepared for that. However, so much gets cut away that it became difficult to follow what was happening to the various members of the cast. In fact the first episode of this cour left me with a lot more questions than it ever should have. It didn’t connect up to the end of the first half at all and it wasn’t until the third episode that I gathered some understanding of things. Now that I’ve finished the anime I’m not sure why I kept watching it, but I think the answer can be found with the show’s cast. 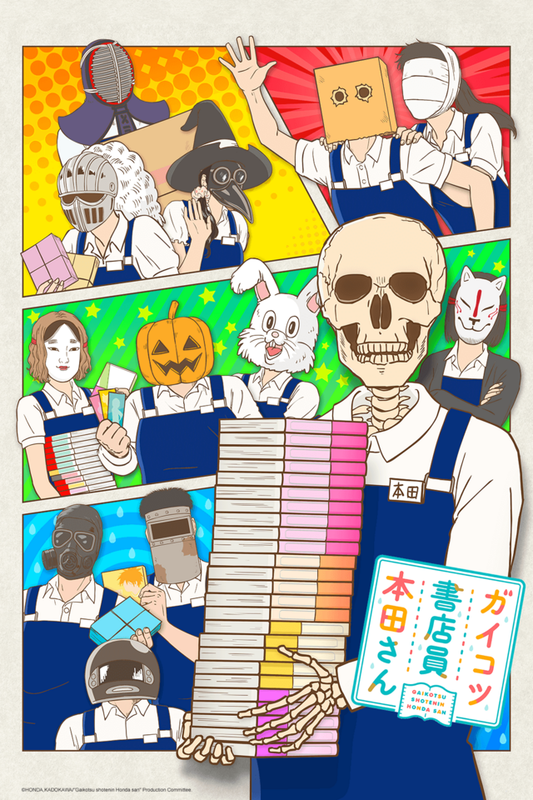 My final pick from the autumn season is Skull-face Bookseller Honda-san. I commented in our preview article that the nice thing about this show was that it was a low level commitment, with its 10 minute episodes. As the show went on I almost wished the episodes were longer because I had a blast with Honda-san and his coworkers in the bookshop. There was never a dull moment and even the most mundane of problems were made into fascinating (and extremely funny) looks into what goes on behind the scenes in the shops we frequent. I certainly have a newfound respect for anyone who works in a retail job now! I’m not sure any of the episodes outdid the very first one for its comedy, but I don’t think there was a dull one among the 12. I hope that the show is given a second season someday, as I’d love to reunite with Honda-san and co to see what new predicaments they find themselves in. In the meantime, if you’re a fan of the show then you’ll be pleased to know that Yen Press have licensed the original manga series! I know I’ll definitely be picking that up and so should all of you. Workplace comedies don’t get nearly as much love as they deserve. Looking back at the 2018 autumn season, I really liked a lot of what it had to offer. Sure, you had the odd blip (Tokyo Ghoul: re) or the odd trashy fanservice show (Senran Kagura: Shinovi Master), but overall there was a lot to enjoy. My picks in our autumn preview mostly came out good, and the dark horse of the lot, Zombie Land Saga, really became the highlight of the season for me. As I’m into idol shows, this shouldn’t have come as a surprise, but initially it’s not like every other idol show out there. Its first few episodes really made an impression with how over-the-top they were; from the initial shock of seeing lead character Sakura get hit by a truck as she steps out of her house, to the set-up of the concept and the heavy metal live and the rap battle…. It was just really good fun to watch. As things settle down though, it falls more into typical idol show territory. Our zombie idol girls get pushed into various activities week-on-week, whether that be singing or filming a commercial for a fried chicken firm. This is standard stuff for an idol anime but by using the zombie concept it really feels like a fresh take as it makes certain situations either more difficult or easier to handle than if the girls were alive. As well as the humour, there’s also strong character drama as it starts to deal with each girl’s specific circumstances in how they died and became a zombie in the first place. The episode dealing with Lily and her father and resolving their relationship was definitely a highlight for me and it seemed to fare well with others online as well. It was a good mark to say that yes, this is a funny show, but it can also tackle some serious topics, like having a transgender character, in a positive way. 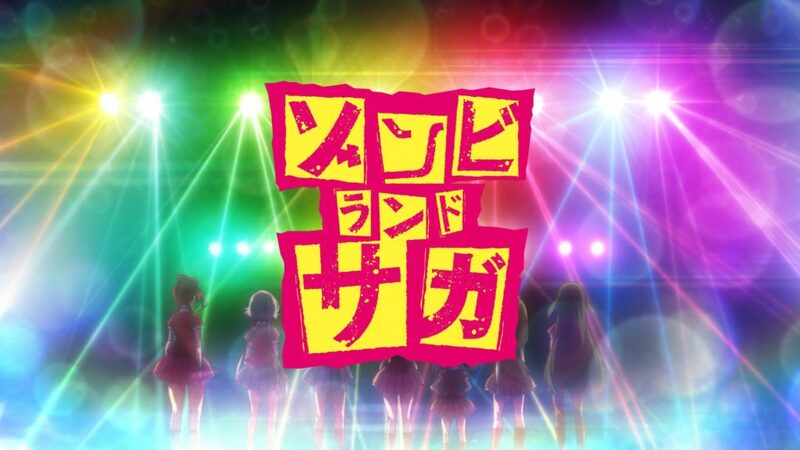 We haven’t seen every girl in the group tackled yet, and there’s plenty of other questions raised about the relationship between Sakura and the idol group’s producer Kotaro Tatsumi, so I’m really hoping this gets a second season. I must give a shout-out to Kotaro’s voice actors in Japanese (Mamoru Miyano) and English (Ricco Fajardo) as they both do a fantastic job at screaming their lungs out over his dialogue. Miyano in particular just sounds like he is having a whale of a time, and I wouldn’t be surprised if he left the recording booth every day laughing his head off. So that’s Zombie Land Saga: a fresh take on the idol genre that’s both hilarious and heartfelt and so deserving of more. There’s a lot to be said for Bloom into You being a great yuri series, and I’d have to say it came up at the right time. There are a lot of examples in the genre that really toe the line and steer more towards non-consensual relationships for dramatic effect, like Citrus, and so it was refreshing to get a series that felt more grounded and down-to-earth about the whole thing. I’d say it feels so grounded that a lot of the time it’s more like you’re watching a typical slice-of-life show, rather than a yuri anime. That isn’t a bad thing at all and makes this great for newcomers to the genre as it’s not as full-on as its peers; yes, there’s the odd kiss here and there, but it doesn’t feel as if the romantic scenes are being overplayed. You’ve got several story arcs over the course of the series, each typically focusing on a school event after Yuu is pushed into being a student council member. 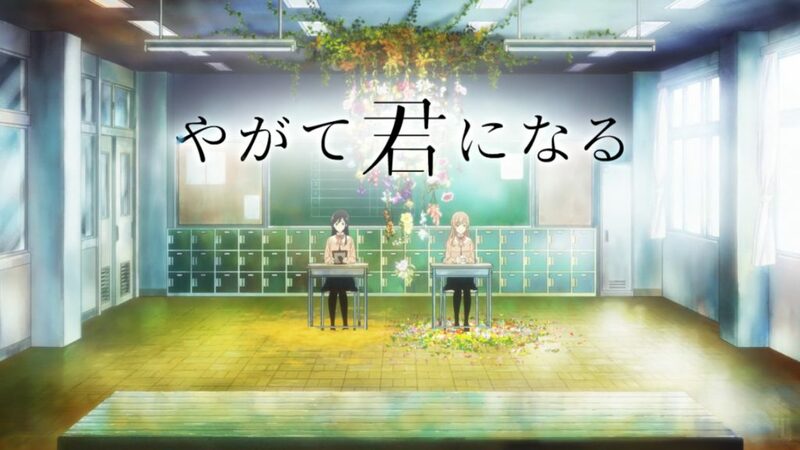 It’s mainly split into three: the initial student council elections and their aftermath, the school sports day and the cultural festival; the latter of which forming a bigger plot through the series with Touko wanting to revive the student council play. This forms a strong focus on Touko as a character as the series deals with her feelings over her sister’s death and how that has pushed her to become the person she is. I found this vastly more interesting than any of the romantic angles as I’m interested in how her interactions with Yuu can get her to open up and realise that becoming this idealised version of what she thought her sister was like is a really dumb idea. We slowly get to see this more and more as the series progresses, and at first it seems like everything is going to culminate in a grand finale with the cultural festival and the play. However, the anime elects not to end with this and whimpers out as Yuu takes Touko on a date to an aquarium. After such a build-up it really hurts to get a “go read the manga” ending as it really had a good flow going; but yet it just ran out of time. It’s a shame as it had other good things to say elsewhere too, looking at Sayaka and how she is trying to come to terms with her sexuality. I really like how it bounds off this plot point to show a natural, healthy relationship between the girls’ teacher and the owner of the café the girls frequent. Like I say, a lot of yuri series play up non-consensual and bad relationships to increase the drama so it’s nice to see something normal for once. Yuu on the other hand is the weakest of the three main characters, coming off as rather bland. Other than her inability to feel romantic love, her love for books and her parents owning a bookshop, we don’t really know much about her. She often feels like a vehicle just to interact with the other characters and I’d like to see her stand on her own a lot more. She does start doing so at the end of the series, but it just takes far too long for her to become a true part of the story rather than a bystander. I did really like Bloom into You. It’s a lighter yuri show with a slice-of-life approach that makes it easy for genre newcomers to just jump in and enjoy. 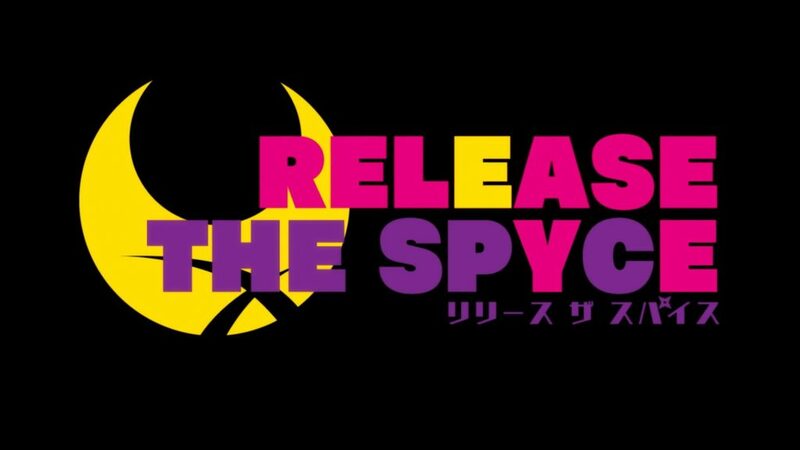 Release the Spyce was definitely an interesting one, but it’s one I have mixed feelings on as I honestly expected a lot more from it than what it turned out to be. While still a schoolgirl spy thriller, this is a much lighter show than say, Princess Principal as it feels more along the lines of “cute girls acting as spies” rather than a real group tackling a real threat. The story set-up itself is actually pretty decent. Tsukikage, our group of heroines, have to defend the town of Sorasaki against the evil organisation Moryo, who are trying to brainwash everyone and ultimately rule the world. However, it doesn’t do enough with what it’s got – with both groups trying to hide from each other, the missions that Tsukikage go on don’t produce grand enough results for them to seem worthwhile. There’ll be some infiltration mission, but by the time the team get there Moryo have already covered their tracks, so despite the danger and having to fight their way through, there’s no real plot development. So, we eventually get into this stalemate situation where both sides are investigating each other, and even though it is blindingly obvious as a viewer, the show pads around in a “will they or won’t they” fashion until eventually both sides slip up and we head into the final battle. While the overall story could have done with some work, the action sequences were rather good and the actual missions are pretty exciting to watch. It is clear however that the focus was more on the characters and how they develop over the course of the series. It’s very much Momo’s journey as she goes from being recruited into the group as an apprentice and slowly gains experience to rise up through the ranks to become a master. Tsukikage operate this Star Wars-inspired master and apprentice system, where one member will train another until she retires (or potentially dies) and then the apprentice will become the master and choose another apprentice. This makes three pairs out of the six main characters: Momo and Yuki, Mei and Fu, and Hatsume and Goe; and within the overall story you get arcs that explore the relationship between each master and apprentice. I honestly liked how this was done, as it parcels up the development of the character relationships more neatly than if it was all six together. And I’m sure some fans would appreciate the different shipping options. Anyway, Release the Spyce is an okay show to watch, it just doesn’t really push past ‘good’ as it lacks the stakes to make it a truly engaging spy thriller. Two episodes in and I was enjoying a rather new take on the lead protagonist, but I have to say the show has gone from strength to strength since then. Our lead Giorno gets himself a position in a mafia gang that all have Stand powers (other selves that have endless weird and crazy abilities) and although they all got dumped on us at once, the show has slowly revealed each gang member’s backstory and given them a moment to shine with their Stand powers. 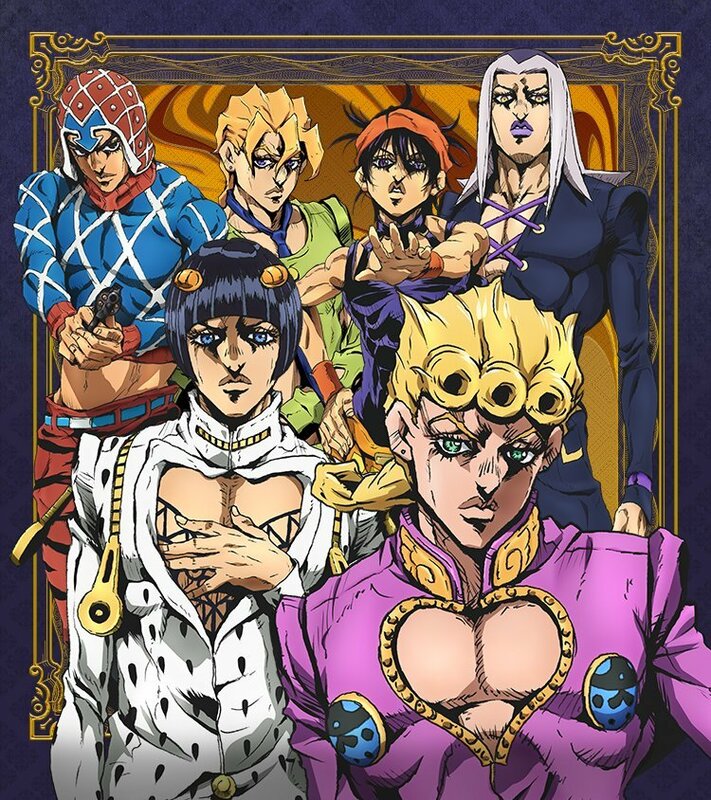 Oddly, for a series that never takes itself seriously, it’s done a good job of making me care about each of these unique gang members and their tragic backgrounds without sacrificing the oddball battles that make JoJo… well, JoJo. As daft as the games were, there was always something fun about them, and the anime adaptation is usually faithful in its adaptation, though often changing a few things here and there that keep you on your toes. 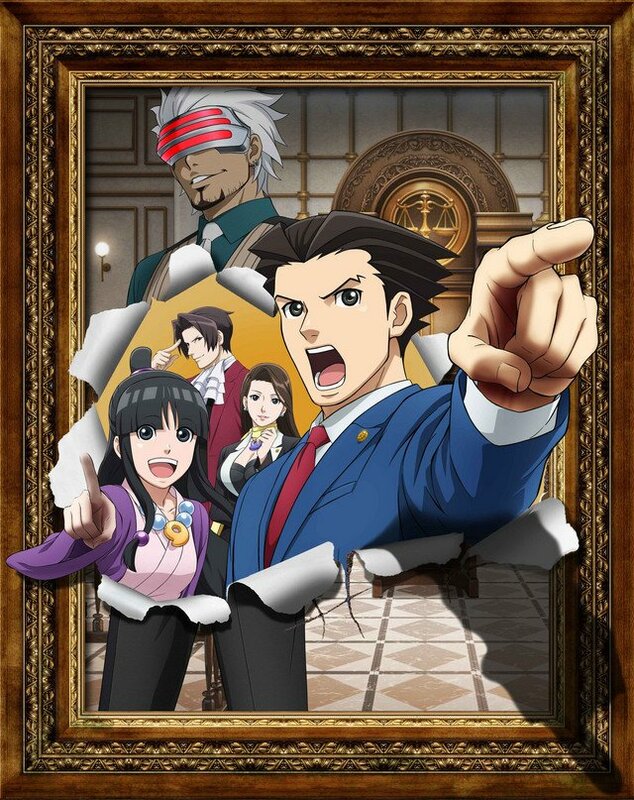 The main reason I wanted to mention it is because the third trial of this season was an anime original, and was quite the odd but fun ride over the three weeks it aired. Something about seeing a trial where I didn’t know who the guilty party was and why was really good fun. The series isn’t anything special, the animation is only okay, but it’s got a good self-aware sense of humour, and if you’ve never played the games some twists can take you by surprise. So there you go, two sequel shows, both adapting reasonably old material that has never been adapted before… I would also like to mention that as someone who has been working in his local library for a few years, Skull-face Bookseller Honda-san was also a delight to watch every week, the humour and situations being particularly relatable, as well as generally surreal and hilarious!